Today we are going to do an old school CrossFit Headquarters (CFHQ) original WOD. The only difference is we’ll complete the effort in two rounds. Rest 2:00 Minutes and repeat the entire effort. Notes: You are only at each station for 4 rounds, or a total of two minutes. You have ten seconds to rotate between stations and two minutes rest after the first effort is complete. Your goal is to match your first round and second round efforts. Your score is your total number of repetitions at each station. This is different than the way we usually score a Tabata effort which is the lowest score in any one round. 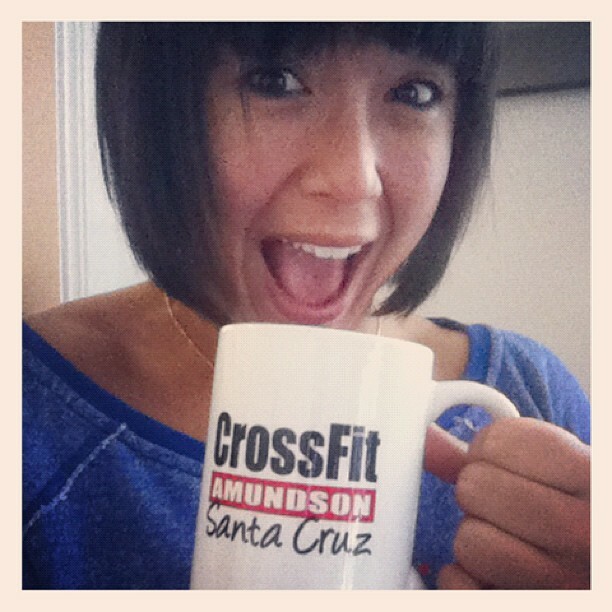 Coming soon to CrossFit Amundson – Our Official Coffee Cup! Love this WOD. Is that weird?